We are thrilled to announce that Square Dance returns to the park for its fourth year for the weekend of September 25 through 27. You know by now that we don't like to rest on our laurels, so of course we're making this year's Square Dance bigger and better than ever. The mechanical bull, a huge hit last year that drew huge crowds of would-be cowpokes, will be present at all three Square Dance dates. That's 50% more mechanical bull than last year! 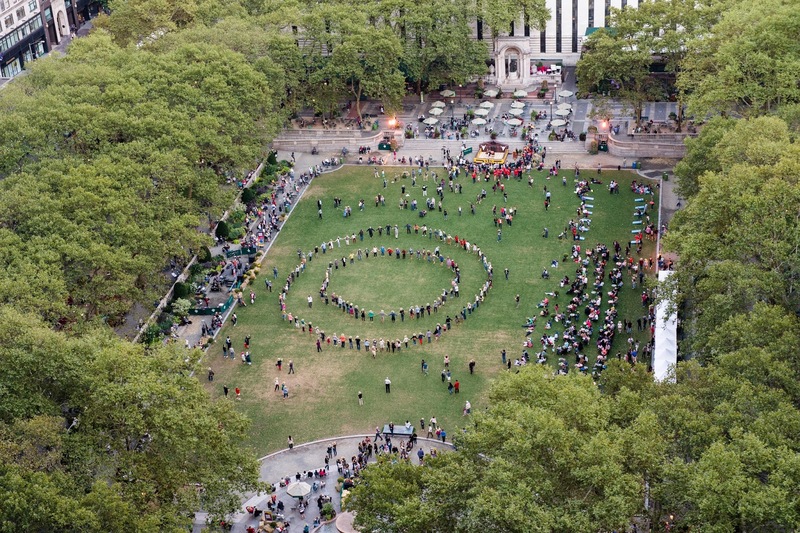 Picture hundreds of New Yorkers do-si-doing. 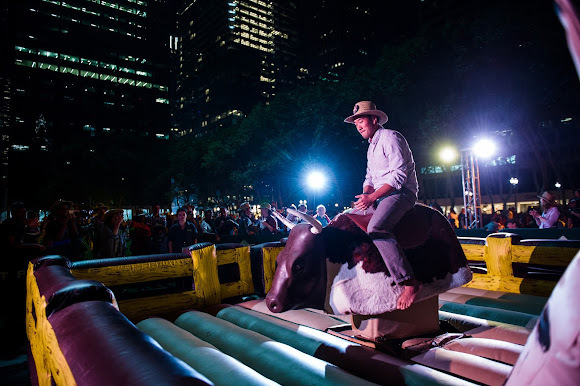 Bryant Park Square Dance: Now with 50% more mechanical bull! We're also working on more music (think banjos and folky one-man bands) and exciting photo opps, not to mention the food, games, and prizes you've come to expect. We hope you've marked your calendar! It's amazing what a small group can do when everyone pitches in. The 2015 Colorado State Square Dance Festival Committee really worked well together and pulled off an incredible festival!